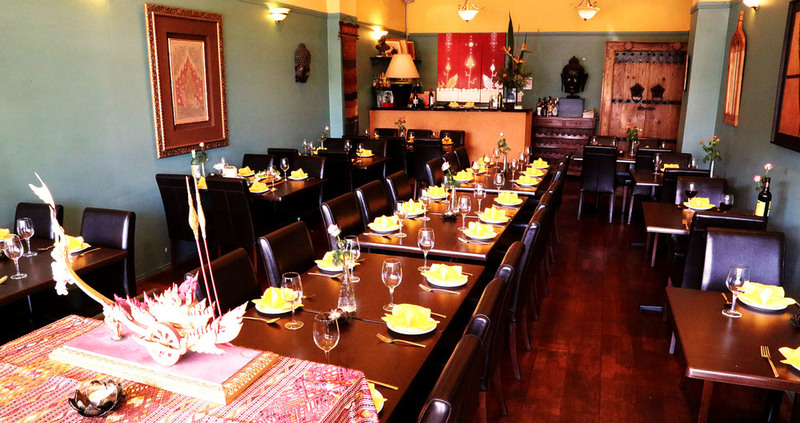 Thaiherbs is not an ordinary Thai Restaurant. Our tastes are guaranteed to have you wanting more with each bite. We ensure that every dish coming from our kitchen has Thai ingredients mixed with Thai herbs that will set you on a Thai experience like you have never experienced before! Our food philosophy is simple - 100% Thai style using the freshest ingredients. We invite you to sample the unique and tantalising tastes of the food of Thailand prepared especially by our team of experienced Thai chefs. If you’ve travelled to Thailand our food will bring you back. We can’t bring the palm trees and sandy beaches but we can guarantee the perfect pad Thai, tom yum or green curry!